Isn't this comfortable life a monotonous purgatory? 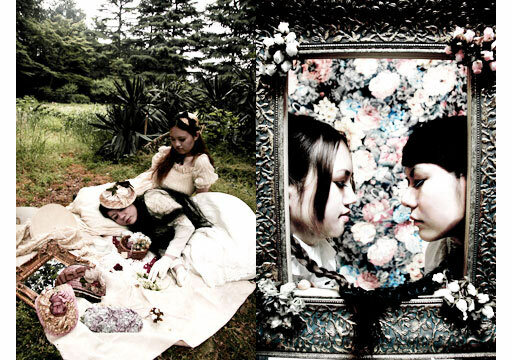 Japanese photographer Miya Kishimura pulls you into a dark world of fantasy from which it is difficult to escape. A school girl in uniform with desperate eyes. The same girl with grotesque make-up. In another shot she lies on the street, seemingly dead. This is Kishimura’s world. But Miya Kishimura also creates disarmingly romantic scenes that take you into a suspended feeling of happiness and yearning.